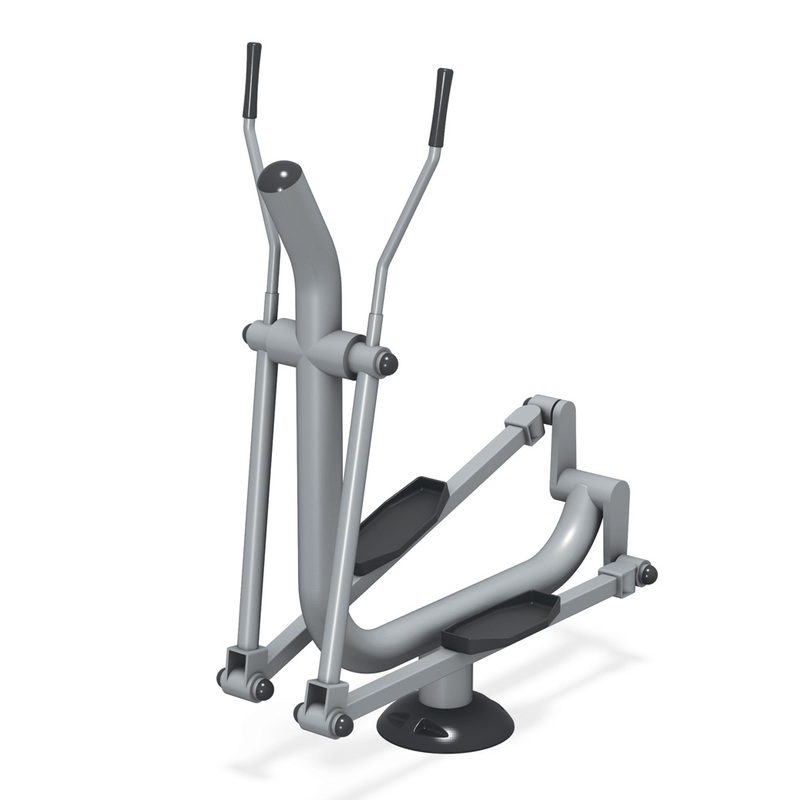 The Medium Fitness Kit is the second largest package we offer, and it provides workouts engaging all four elements of fitness: aerobic, muscle fitness, balance/flexibility and core. 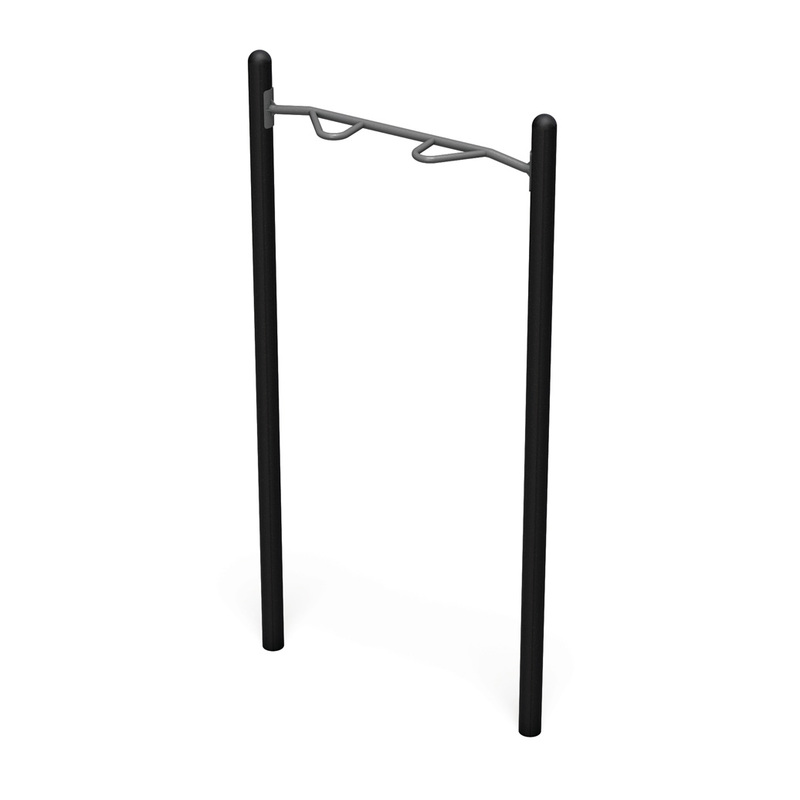 The kit includes 9 pieces of outdoor fitness equipment in a familiar black and metallic finish akin to typical indoor gym equipment. 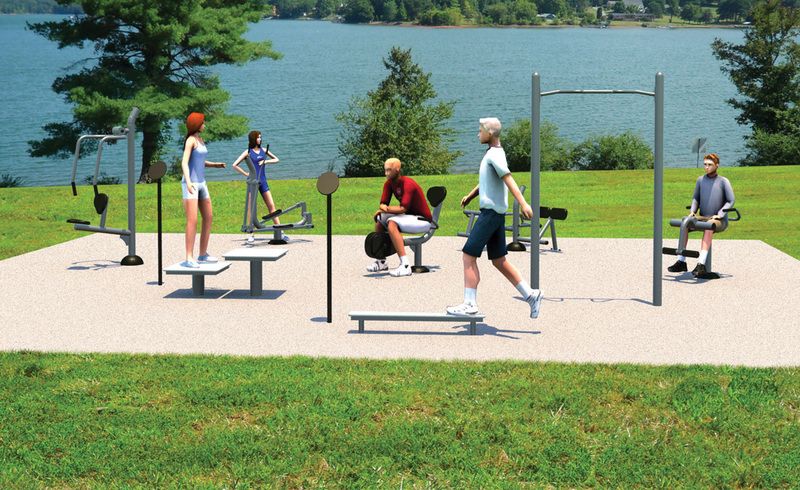 The Plyometric Boxes allow for aerobic step exercises, jumps, dips, and other cardio workout routines. Like the box, the Balance Plank can double as an elevated push-up platform as well as its typical use for balance or stepping related exercises. 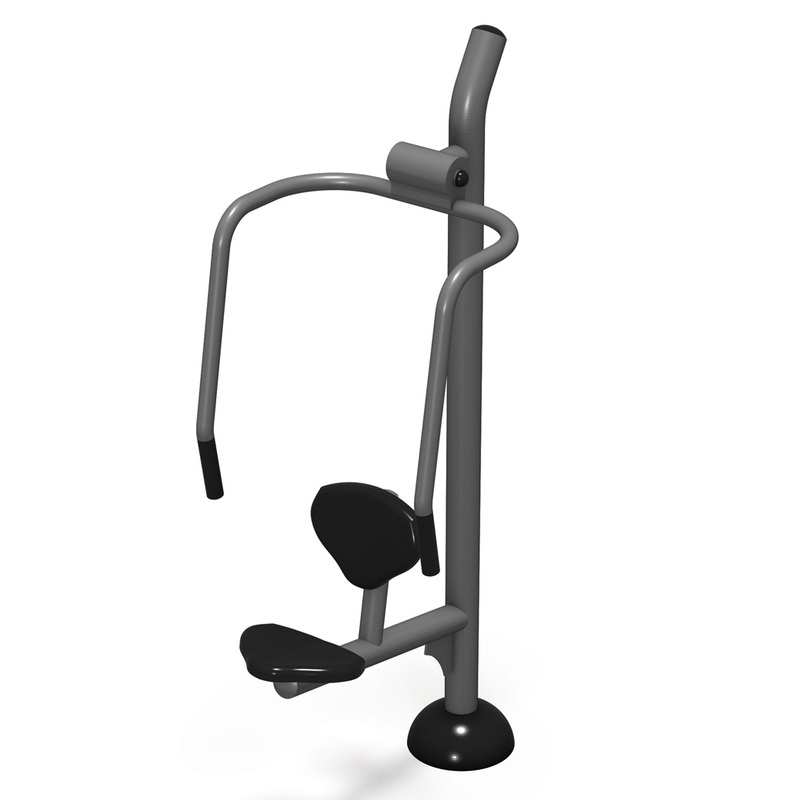 The Chin-up provides several challenging styles of chin-up exercises with its unique curved hand-grips. 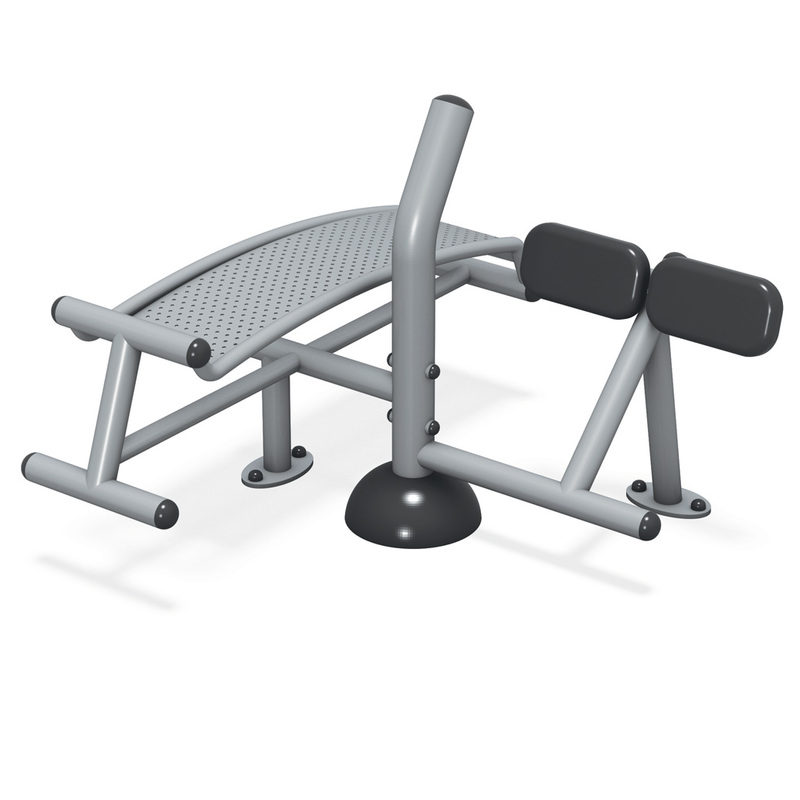 The Chest Press and Leg Extension utilize an isokinetic spring system to provide smooth effective resistance for each of their varied exercises. 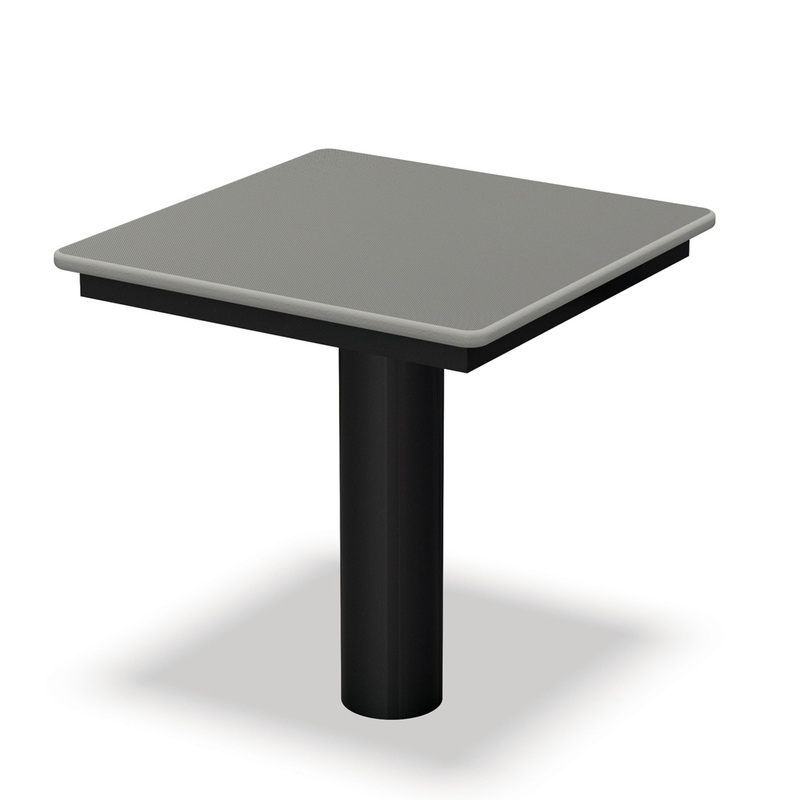 The resistance module is secured in a weather-proof and vandal-resistant housing that also eliminates crush and shear hazards. 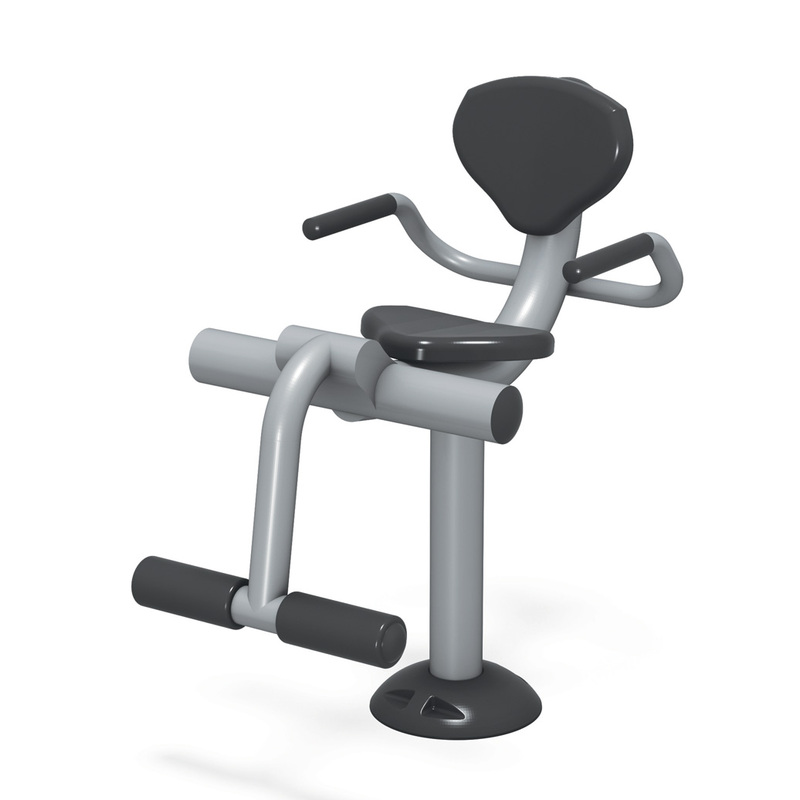 The Sit-up/Back Extension allows your body to brace itself for various sit-up and core workout style exercises. The Recumbent Cycle and the Elliptical are excellent for low-impact cardio workouts. 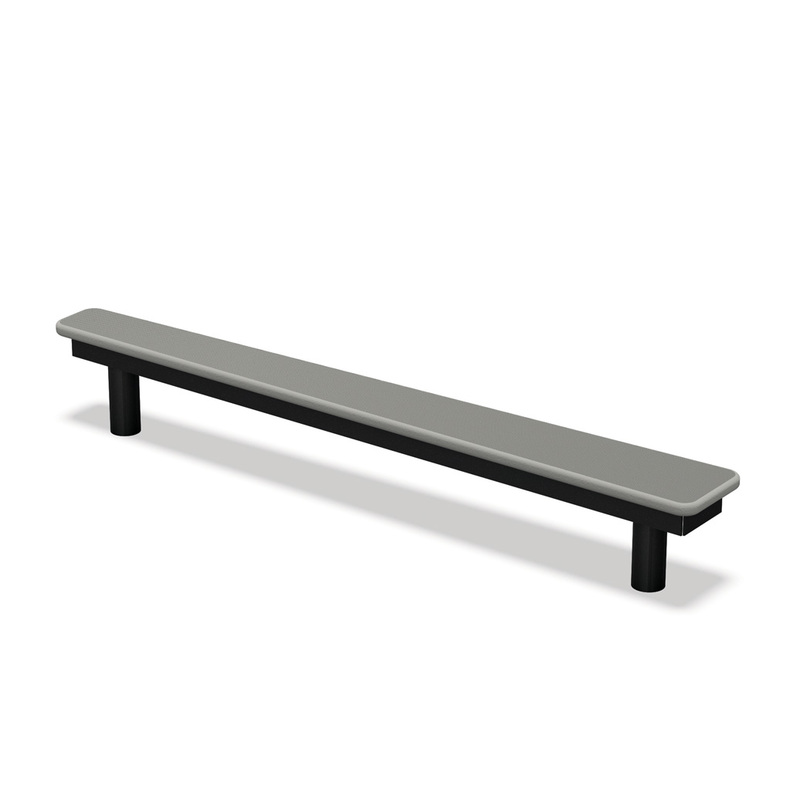 All equipment comes in a familiar, but long-lasting, grey and black powder-coat finish for superior outdoor performance. Minimum Space Needed: 1,000 sq.ft.